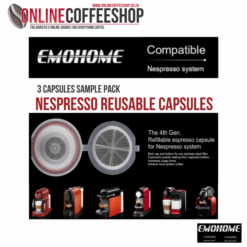 EMOHOME Refillable / Reusable Coffee Capsules/ Pods – 10 x Nespresso Compatible. Compatible with Nespresso and Caffeluxe Machines. 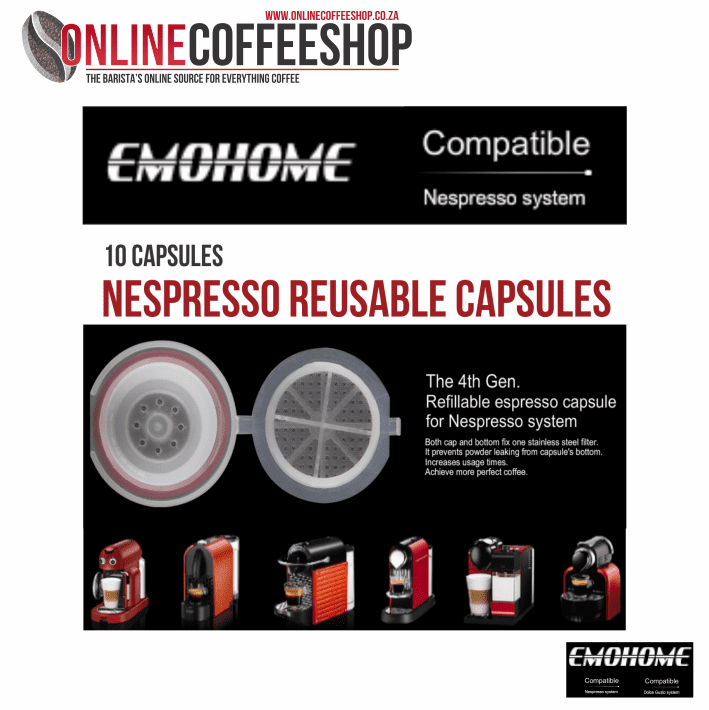 These capsules can be filled with any ground coffee, tea, hot chocolate of your choice or any other hot drink for your Nespresso or Caffeluxe machine. 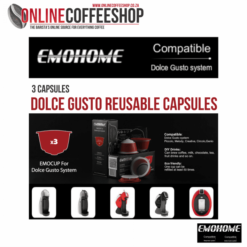 the 4th Gen. EMOHOME refillable espresso capsule cup.